You may have recently heard that youth sports parents are out of control. Surely not you though right? This post covers some interesting youth sports statistics and facts, as well as how you can be a good sports parent. Kids play sports because it is fun. However, they also gain so much more in the process. Physical fitness, sportsmanship, leadership, and teamwork to name a few. When our children stop playing, they lose out on so many great life lessons. So why do sports stop being fun? According to kids, it’s us; well meaning coaches and parents. I’m sure you are well aware of the many current issues in youth sports today. Here is a list of some of the more important ones. Play and coach to win. Don’t give all players meaningful play time. Yell at and/or berate players. Yell at players and refs. It’s a game, they are supposed to win. If I don’t tell my kid what she/he did wrong, she’ll/he’ll never learn. The refs constantly make mistakes. While some of the above arguments might be true, the valuable life lessons involved in youth sports should trump winning. There is a time and place for constructive criticism of our youth athletes. And let’s face it, the refs are human. Is my child developing in some way? If your child is having fun, she will put more effort and work into what she is doing. She will continue to grow, and develop, and have fun. Then the cycle will continue. Fun -> effort and hard work -> development and improvement -> fun. When you coach from the sideline, yelling “pass” or “shoot”, you are undermining your child’s coach. That coach may be working with your child to dribble more or to use his or her teammates. Your child then becomes confused. Do I listen to my coach or do I listen to my parents? One of them is going to be mad at me for not listening to them. This is no longer fun. I might as well quit. Your child definitely does NOT want to hear about the mistakes they made. He already knows. Your child also doesn’t want to hear about what their coach did wrong. That’s someone he looks up to. And please don’t say negative things about your child’s teammates. Those are players your child respects and has to work with for an entire season. So what are we supposed to do as youth sports parents? Find a team, coach, and program that focuses on player development over winning. Then let the coach do the coaching. You’ll find it’s so much more fun to just sit back and watch. Let your child make mistakes. That’s how they grow and learn. Coaching play by play only creates a robotic player. Letting your child make mistakes, and learning from them, will create a creative player. Creative players are valuable players. Focus on the positive. When you pay attention to the positive, you’ll be amazed at how much your child can do. Tell your kids how proud you are of them, and how much you enjoy watching them play. You’ll be amazed at the results. 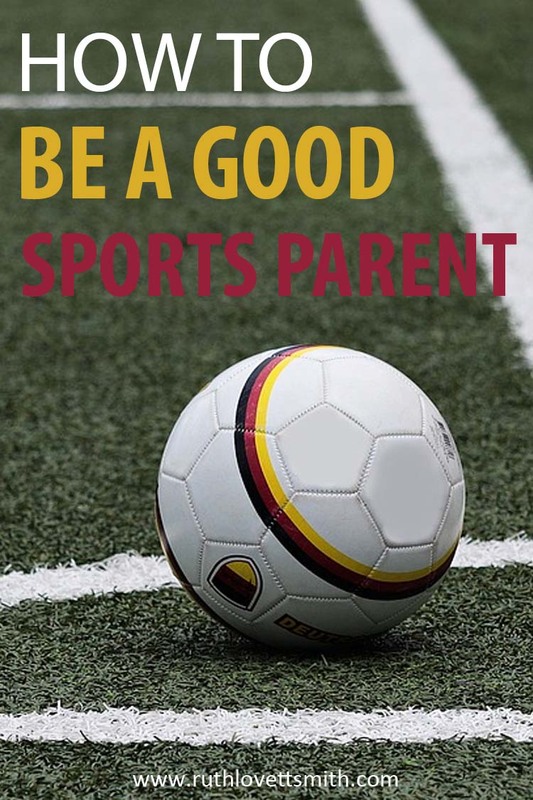 Becoming a good sports parent is all about mindset. Focus on the positive and enjoy the ride. These years are fleeting. One day you will no longer be able to call yourself a sports parent. Related: If your youth athlete has been dealing with heel pain, you may want to check out my article on Sever’s Disease.